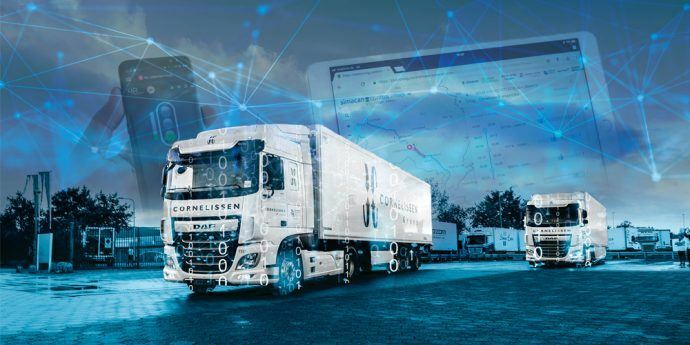 What’s New: Intel and Simacan* are working together to enable so-called “digital corridors” for truck platoons along the highly congested “Tulip Corridor” routes that connect North Sea shipping ports to Germany’s industrial Ruhr Valley. The platoons are enabled by Simacan Control Tower,* a cloud-based logistics solution that uses Intel® Xeon® Scalable processors to analyse huge amounts of real-time data. How It Works: In truck platoons, a collection of trucks equipped with state-of-the-art driving support systems follow each other in close formation. The trucks include smart technology and are communicating among one another, as well as to the drivers, to enable them to stay in close formation. Intel-powered Simacan Control Tower software delivers a detailed operational picture featuring vehicles of multiple carriers. It includes traffic and vehicle condition updates, predicted arrival times, and automatic geofence detection. Based on this information, Simacan shares real-time notifications on planning, routing and arrival times, and delivers post-trip analyses based on the data gathered. Results from the initial trials have already indicated the potential benefits of the platooning approach. Traffic flow for the platoons was improved by 10 to 17 percent. Applied to the working lifespan of a truck of 175,000 kilometres, this equates to a saving of 6,000 litres of diesel per truck, beneficial for the operators and for the environment. Why It’s Important: Rotterdam, Netherlands, and Antwerp, Belgium, are Europe’s two busiest ports, handling a combined 675 million tons of freight in 2017. Most of this freight needs to be transported inland, much of it to the Ruhr Valley in Germany’s industrial heartland. This creates an ever-increasing burden on road networks that are struggling to cope with a high volume of trucks and the increasing disruption than can be caused by one truck breaking down. Truck platooning is a potential answer to this problem – helping ease the flow of traffic, improve safety and reliability, while reducing the impact on the surrounding environment. All this needs to be done without impairing companies’ ability to get their goods delivered on time. What’s Next: Truck platooning will be tested at diﬀerent levels along the Tulip Corridor between 2019 and 2023. An ambitious goal is for 100 platoons daily to traverse the Tulip Corridor by 2020.